We’d love your help. Let us know what’s wrong with this preview of Kea, The Third Way by Alki Nea. It all started when Kea and Leo came to visit at the end of last summer. They were in their early teens, but talked as adults who've been through a lot. And they had! They wanted me to write their story. Kea said it had deep implications for the future. I only understood what she meant when she opened her incredibly ... I'm carried away; I should start from the beginning, a It all started when Kea and Leo came to visit at the end of last summer. They were in their early teens, but talked as adults who've been through a lot. And they had! They wanted me to write their story. Kea said it had deep implications for the future. I only understood what she meant when she opened her incredibly ... I'm carried away; I should start from the beginning, after Kea's house burnt mysteriously and they had to flee from a dark organization that hunted her farther than New York, and ... No, hold on, that's not the most important. What is, is how solemn Kea was that day when she explained me that some things are difficult to understand when you are standing in the middle of it. You have to step aside and see it from a different perspective to comprehend its nature and significance. For Kea, she had to go into a completely mystifying world to understand how alarming the Sixth extinction is. And we are all responsible. This is her story. Two friends are thrown into a fast paced adventure that leads them into a mysterious world. Only then they realize that our planet, the Earth, is threatened by a massive life extinction similar to the one that wiped out all dinosaurs, 65 million years ago. Only this time it is us, humans, who are endangering the delicate balance of nature. To ask other readers questions about Kea, The Third Way, please sign up. Leo and Kea have been friends for a very long time. 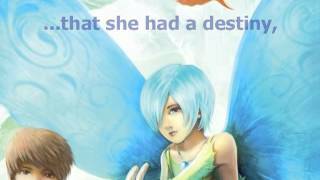 They are usual kids having usual lives until one day, much to her surprise, Kea changes into a fairy! As Kea and Leo are trying to figure out what is going on with her, they discover that our world is in great danger! The entire human race could be wiped out because humans are changing and damaging nature. Kea is told that she is the one to change things but there are others who will do everything they can to stop her and Leo from doing that. I really like action books that have humor mixed in to make the tense scenes less tense. Mr. Nea did that really well in this book. The story has an important message too, one about the harms of pollution, global warming and damaging the environment. The story was written really well for kids and they will learn important lessons about the environment. Leo was a great main character. He was an average boy, smart, kind, and helpful. Kea was cool… no… awesome! She had a great personality. I think boys and girls would like the story. I really liked the cover of the book too! I recommend this book to kids 10+! Alki Nea is an earthling. He was born on one continent, raised on another and lives now in the middle of nowhere. As a denizen of Earth, he believes in fairies and cats. This drove him to undertake with great joy the endeavor of cultivating contemporary fairy tales. 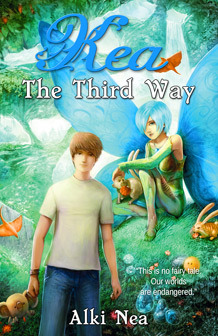 "Kea, The Third Way" is his first novel. Expect more unbelievable accounts of our ecosystem and all its inhabitants.